Underground "rehabs" worked without licenses, their patients were kept by force. Metropolitan Police stopped the work of four illegal rehabilitation centers in Kyiv and the Kyiv region. A few months ago, the workers of Narcotics Control Department received operational information about the activities of a group of people engaged in the illegal sale of the psychoactive substance "sibazon" (diazepam). In the course f a special operation, law enforcers exposed the illegal activities of private rehabilitation centers, the police website reported on Wednesday, 2 August. 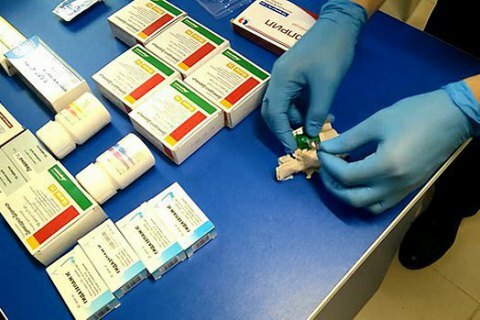 At first, policemen detained a 27-year-old registered nurse who was engaged in the sale of a prescription psychotropic drug. Law enforcers found out that a colleague of her, a 40-year-old doctor was also involved in the sale of "sibazon". The man has access to the drug and used it in medical practice. The study of the journal of use of registration drugs revealed numerous violations by another worker, etc. "Further on, we have established that the detained doctor and nurse were involved in the creation and operation of four illegal rehabilitation centers, one of which functioned in the capital and the Kyiv region. The centers look like ordinary homes, and "treated" their patients from various addictions: drugs, alcohol and gambling. Together, these facilities accommodated up to 50 people, i.e. 10 to 15 patients in each. The "treatment" lasted from several weeks to a year," police reported. The investigation established at least seven instances when patients were have been retained in these facilities against their will. Clients have been brought there by rehab employees or relatives who paid for the cost of stay in advance (7 to 12 thousand hryvnia a month) and a package of medicines prescribed by the self-styled "doctor". The stuff of the rehabs used physical force to those who refused to voluntarily take the course of "treatment" and take psychotropic drugs. The patients were even handcuffed and kept in separate rooms that looked like cellars. The 27-year-old medical worker was detained, and other figurants were taken to the Investigation Department of the Main Directorate of the National Police in Kyiv. They may face charges of Illegal deprivation of freedom or abduction; illegal production, manufacture, acquisition, storage, transportation, transfer or sale of narcotic drugs, psychotropic substances or their analogues, including with or without the purpose of selling, etc.